During the 1950s Albert Wohlstetter, by that time a middle-aged man in his early forties, quietly established himself as one America’s premier defense analysts through his RAND Corporation studies on SAC basing and nuclear-age deterrence. But he didn’t become widely known outside of government circles until January 1959, when Foreign Affairs published “The Delicate Balance of Terror.” It was this startling and controversial article, which he had written and revised while serving on the U.S. delegation to the 1958 surprise attack conference in Geneva, that first established him as a public intellectual of national security affairs. Although Albert Wohlstetter would leave the RAND Corporation in 1963, his publishing output during the decade would increase steadily, even as he balanced his classified work as an outside adviser to the Kennedy and Johnson administrations with his unclassified work as a professor — first at Berkeley, then at UCLA, and finally at the University of Chicago. During the 1960s, Albert’s work in strategy covered a broad range of topics, such as (but certainly not limited to): the aims of US foreign policy; preventing the spread of nuclear weapons not only to America’s opponents, but also to America’s allies; the Cuban missile crisis and its aftermath; scientific method vs. the authority of scientists in national security debates; civil nuclear energy’s military potential; the impact emerging technologies may have on matters of peace and war; and debates over the anti-ballistic missile (ABM) system. Albert Wohlstetter, “Some General Comments on Senator [John F.] Kennedy’s National Security Speeches,” unpublished memorandum, circa 1960, available from Hoover Institution Archives, Albert and Roberta Wohlstetter Papers, Writings, Box 148, Folder 10. Excerpts on “Missile Gap” published for the first time in Robert Zarate and Henry Sokolski, eds., Nuclear Heuristics: Selected Writings of Albert and Roberta Wohlstetter (Strategic Studies Institute, 2009). Albert Wohlstetter, On the Value of Overseas Bases, P-1877 (Santa Monica, CA: RAND Corporation, January 5, 1960). HTML version available online at the RAND Corporation’s website. Albert Wohlstetter, RAND’s Continuing Program of Broad Policy Study: Problems and Incentives, M-953 (Santa Monica, CA: RAND Corporation, February 22, 1960). Albert Wohlstetter, No Highway to High Purpose, P-2084-RC (Santa Monica, CA: RAND Corporation, June 1960. HTML version available online at the RAND Corporation’s website. Albert Wohlstetter, “National Purpose: Wohlstetter View; Appraisal of the Need to Examine Means as Well as Ends,” The New York Times, June 16, 1960, p. 30. Albert Wohlstetter, “A Purpose Hammered Out of Reflection and Choice,” Life, Vol. 48, No. 24 (June 20, 1960), pp. 115, 126-134. Albert Wohlstetter, “National Decisions Concerning Defense,” in J. Banbury and J. Maitland, eds., Proceedings of the Second International Conference on Operations Research [in Aix-En-Provence, France, 1960] (London, UK: English Universities Press, February 1961), pp. 517-522. Albert Wohlstetter, “Nuclear Sharing: NATO and the N+1 Country.” Foreign Affairs, Vol. 39, No. 3 (April 1961), pp. 355-387. Reprinted in Robert Zarate and Henry Sokolski, eds., Nuclear Heuristics: Selected Writings of Albert and Roberta Wohlstetter (Strategic Studies Institute, 2009). Albert Wohlstetter, Impressions and Appraisals in Hong Kong, May 19 – May 23, 1962, D(L)-10364-ISA (Santa Monica, CA: RAND Corporation, August 20, 1962). HTML version available online at the RAND Corporation’s website. Albert Wohlstetter, Impressions and Appraisals in Japan, May 8 – May 19, 1962, D(L)-10391-ISA (Santa Monica, CA: RAND Corporation, August 27, 1962). HTML version available online at the RAND Corporation’s website. Albert Wohlstetter, Impressions and Appraisals in Singapore, May 28 – May 29, 1962, D(L)-10399-ISA (Santa Monica, CA: RAND Corporation, August 28, 1962). HTML version available online at the RAND Corporation’s website. Albert Wohlstetter, “Scientists, Seers and Strategy,” Foreign Affairs, Vol. 41, No. 3 (April 1963), pp. 466-478. Albert Wohlstetter, “Scientific Methods,” Letters to the Editor, The New York Times, December 1, 1963. Albert Wohlstetter, “Technology, Prediction and Disorder,” Vanderbilt Law Review, Vol. 17, No. 1 (December 1963), pp. 1-14. Albert Wohlstetter, “Arms Debate: Letter in Response to ‘The Megadeath Intellectuals’,” New York Review of Books, Vol. 1, No. 9 (December 26, 1963). HTML version available online at the New York Review of Books‘ website. Albert Wohlstetter, “Strategy and the Natural Scientists,” in Robert Gilpin and Christopher Wright, eds., Scientists and National Policy-Making (New York, NY: Columbia University Press, 1964), pp. 174-239. Albert Wohlstetter, “Sin and Games in America,” in Martin Shubik, ed., Game Theory and Related Approaches to Social Behavior (New York, NY: John Wiley & Sons, Inc., 1964), pp. 209-225. Albert Wohlstetter, “Analysis and Design of Conflict Systems,” in E.S. Quade, ed., Analysis for Military Decisions (Chicago, IL: Rand McNally & Co., 1964), pp. 103-148. PDF version also available online at the RAND Corporation’s website. Albert Wohlstetter, “The Non-Strategic and Non-Existent,” in Kathleen Archibald, ed., Strategic Interaction and Conflict: Original Papers and Discussion (Berkeley, CA: Institute of International Studies, University of California, Berkeley, 1966), pp. 107-126. Albert Wohlstetter and Richard B. Rainey, Jr., Distant Wars and Far Out Estimates, unpublished paper prepared for presentation at the American Political Science Association (APSA) meetings in New York, NY, on September 8, 1966; and at the Strategic Studies Conference, sponsored by MIT, Endicott House, Dedham, MA, September 9 to September 11, 1966 [revised 1967]. Albert Wohlstetter, “Illusions of Distance,” Foreign Affairs, Vol. 46, No. 2 (January 1968), pp. 242-255. Albert Wohlstetter, Theory and Opposed-System Design, D(L)-16001-1 (Santa Monica, CA: RAND Corporation, August 1967 [revised January 1968]). HTML version available online at the RAND Corporation’s website. Reprinted in Robert Zarate and Henry Sokolski, eds., Nuclear Heuristics: Selected Writings of Albert and Roberta Wohlstetter (Strategic Studies Institute, 2009). Albert Wohlstetter, Perspective on Nuclear Energy, speech during the University of Chicago’s twenty-fifth Anniversary Observance of the first controlled self-sustaining nuclear reaction, December 2, 1967, D(L)-16568-PR/ISA (Santa Monica, CA: RAND Corporation, January 10, 1968). HTML version available online at the RAND Corporation’s website. Albert Wohlstetter, Strength, Interest and New Technologies, opening address before The Implications of Military Technology in the 1970s, the Institute for Strategic Studies’ ninth annual conference, Elsinore, Denmark, September 28 to October 1, 1967, D(L)-16624-PR (Santa Monica, CA: RAND Corporation, January 24, 1968). HTML version available online at the RAND Corporation’s website. Reprinted in Robert Zarate and Henry Sokolski, eds., Nuclear Heuristics: Selected Writings of Albert and Roberta Wohlstetter (Strategic Studies Institute, 2009). Albert Wohlstetter, Strength, Interest and New Technologies, in The Implications of Military Technology in the 1970s, Adelphi Papers No. 46 (London, UK: Institute for Strategic Studies, March 1968). Reprinted in Robert Zarate and Henry Sokolski, eds., Nuclear Heuristics: Selected Writings of Albert and Roberta Wohlstetter (Strategic Studies Institute, 2009). 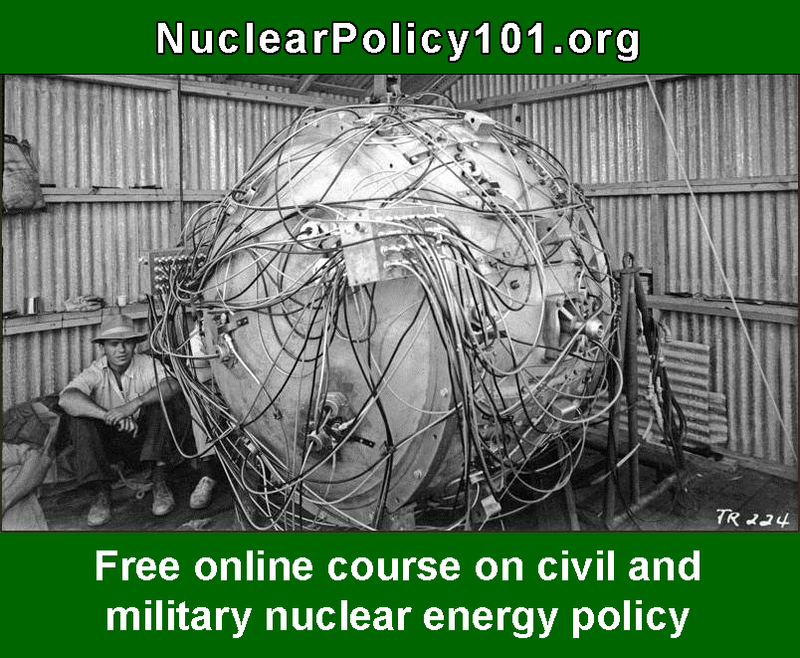 Albert Wohlstetter, “Perspective on Nuclear Energy,” Bulletin of the Atomic Scientists, Vol. 24, No. 4 (April 1968), pp. 2-5. Albert Wohlstetter et al., contributors, in Richard M. Pfeffer, ed., No More Vietnams? The War and the Future of American Foreign Policy (New York, NY: Harper & Row, 1968). Albert Wohlstetter, On Vietnam and Bureaucracy, D-17276-1-ISA/ARPA (Santa Monica, CA: RAND Corporation, July 17, 1968). HTML version available online at the RAND Corporation’s website. Albert Wohlstetter, Comments on the [Charles] Wolf-[Nathan] Leites Manuscript: “Rebellion and Authority”, D(L)-17701-ARPA/AGILE (Santa Monica, CA: RAND Corporation, August 30. 1968). HTML version available online at the RAND Corporation’s website. Albert Wohlstetter, “Theory and Opposed-System Design,” Journal of Conflict Resolution, Vol. 12, No. 3 (September 1968), pp. 302-331. Reprinted in Robert Zarate and Henry Sokolski, eds., Nuclear Heuristics: Selected Writings of Albert and Roberta Wohlstetter (Strategic Studies Institute, 2009). Albert Wohlstetter, Making Up for Lost Time or Utility: Casual Notes on Equality and Equity, D(L)-17717-RC (Santa Monica, CA: RAND Corporation, September 1962). HTML version available online at the RAND Corporation’s website. Albert Wohlstetter, Critique of a Brookings Agenda for the Nation on Military Strategy, Military Forces, and Arms Control, D(L)-17910-ISA (Santa Monica, CA: RAND Corporation, October 1968). HTML version available online at the RAND Corporation’s website. Albert Wohlstetter, “Letter to Michael Howard,” unpublished, November 6, 1968. Version of letter published for the first time in Robert Zarate and Henry Sokolski, eds., Nuclear Heuristics: Selected Writings of Albert and Roberta Wohlstetter (Strategic Studies Institute, 2009). Albert Wohlstetter, “The Role of the ABM in the 1970’s,” testimony before the US Senate’s Committee on Armed Services, hearing on Authorization of Military Procurement, Research and Development, Fiscal Year 1970, and Reserve Strength, Part 2 (of 2) (Washington, DC: US Government Printing Office, April 23, 1969), pp. 1258-1284. See also two entries below. Albert Wohlstetter, “Supplement on the Purported Proofs that the Minuteman Will Be Safe Without Further Protection,” Statement Before the US Senate’s Committee on Foreign Relations, May 23, 1969. See also one entry below. Albert Wohlstetter, “The Case for Strategic Force Defense,” in Johan Jørgen Holst and William Schneider, Jr., eds., Why ABM? Policy Issues in the Missile Defense Controversy (New York, NY: Pergamon Press, 1969), pp. 119-142. Reprinted in Robert Zarate and Henry Sokolski, eds., Nuclear Heuristics: Selected Writings of Albert and Roberta Wohlstetter (Strategic Studies Institute, 2009). Albert Wohlstetter, Planning-Programming-Budgeting: Defense Analysis: Two Examples, reprint by the US Senate’s Subcommittee on National Security and International Operations, Committee on Government Operations, of testimony before the US Senate’s Committee on Armed Services (Washington, DC: US Government Printing Office, September 10, 1969). 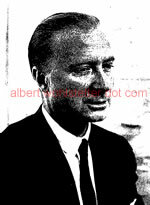 Albert Wohlstetter, “Bases and the Revision of Political Control in Okinawa,” testimony before the US House of Representatives’ Committee on Foreign Affairs, hearing on Strategy and Science: Toward a National Security Policy for the 1970s (Washington, DC: US Government Printing Office, October 10, 1969), pp. 263-268.